ScienceMag: The Hamoun wetlands, which once encompassed as much as 5800 square kilometers along Iran’s border with Afghanistan and supported settlements stretching back 5 millennia, “are an ecological catastrophe,”… On the Iranian side, villages are emptying. Winds in what has become a dust bowl ravage crops and sweep up pesticide residues and other pollutants. And a haven for migratory birds and other wildlife is vanishing. 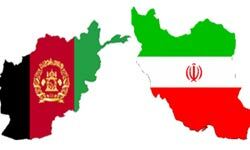 But now, after years of bickering about which country is to blame, Iran and Afghanistan are discussing solutions. Click here to read more (external link).